originally posted July 14, 2008, during my year of slow cooking challenge. Adam has fond childhood memories of eating homemade tapioca pudding. I have fond memories of peeling back the foil of a Handi-Snacks and then licking it. Repeatedly. Yesterday, we made some new memories. I love it when things work the way I want them to in the crockpot!! In a four quart or larger size crockpot, combine the milk, sugar, and tapioca pearls. Stir well to mix. Cover and cook on high for 2-5 hours. You are looking for the tapioca to be soft and somewhat slimy. The mixture will not be very thick, it's okay. In a separate bowl, mix the eggs with the vanilla. Take a 1/2 cup of the hot milk and tapioca mixture and whisk it into the egg bowl (I just learned from my father-in-law that this is what they mean by "tempering the eggs" in cookbooks!). Add another 1/2 cup of the hot milk and tapioca, and whisk that into the eggs, too. Then add yet another. Now you'll have a bowl of yellowy tapioca gooeyness. Pour the contents of the egg-bowl into the crockpot, and whisk until it is all thoroughly combined. 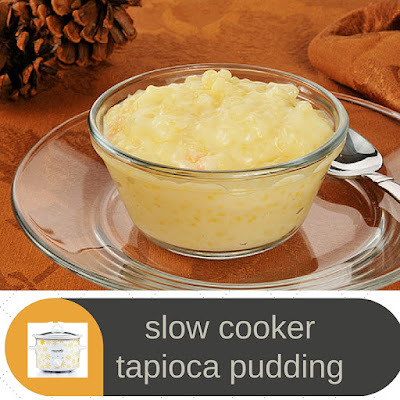 Cover your crockpot and cook on high for another 30-45 minutes, or until the tapioca is pudding-like in consistency. Unplug and let it sit for about an hour to cool. Ladle into serving-size bowls and chill in the refrigerator. or eat it with a serving spoon, hot, right out of the crockpot. Your choice. Fantastic! Wonderful! You've got to make this! I really can not believe how simple and easy this was --- I'm so terribly excited! Adam thought we could get away with cutting the sugar quite a lot. He's probably right. I was very pleased with the consistency---just like a Handi-Snacks. But much, much better. You've got to make this one -- and then let me know! I loooove tapioca! Thank you so much for sharing this recipe, I gotta try it! Hmmm Crockpot never thought of doing it in the crockpot. Igift SO with his favorite treat only in the winter when the cabin can stand the heat. Now maybe he will be gifted in the heat. I love tapioca! No one else in my family likes it but I LOVE it! Thanks for sharing...I will definitely be trying this. Now I have to make this too! nommm tapioooooooca! At our asian market you can get all kinds. You can get large or small and white or black. I LOVE tapioca and am excited to have this in my arsenal. OOH...OOH...OOH...I can't wait to try this one...I adore tapioca-this may wind up being my favorite recipe ever. Thanks for sharing. I love tapioca, but my sister hates it! It makes her squirm! I wonder if it has anything to do with the fact that I told her (long ago) that it was made with fish eyes. Ahhhh, I should make this for her. bwajhahahahahaaha! fish eyes! I love it! Tapioca pudding is definately a childhood memory. This looks delicious! If you use chocolate milk it comes out as chocolate tapioca pudding. I love tapioca! (I know...I already said that in another comment) When I was growing up, I'd make huge batches for myself and my grandfather. After the first batch, he said, "You should double the vanilla! "...I said, "I did! I put in 2 Tbs instead of 2 tsp because I misread the recipe!" We like us some vanilla around here! I've been buying the sugar free version in the snack packs. I wonder if I can make a sugar free batch in the crock? I would like a fancier crockpot because my oven is old and teeny. Interesting we used to have that as a kid for school dinners in the canteen. We called it frog's spawn, as that is what it looks like. I think I may try this one. I just made tapioca pudding, and this seems like a much easier way. I hope I do win one of the crock pots -- I'm inspired! I'll wait until I hear from you before I rush out and buy one. I have made this exact recipe about a month or so ago...Its great....A big hit in my house and other I made it for. I saw you on Rachael and HAD to see your blog! I love it soooo much! You are an inspiration to me!! And I love all the gluten free recipes! I have a son that needs to eat low gluten and wheat and to see all these recipes helps more than you can imagine, especially since I was just told this news and am new to this whole gluten free thing! Thank you so much for taking the time to help and inspire and the mom's and dad's out there that needed a little boost like me! Oh my goodness! I am so excited about this recipe I could pee my pants! THANK YOU THANK YOU THANK YOU!!! At the risk of sounding silly...what is Tapioca and what does it taste like? not silly at all! Tapioca is some sort of weird grain that is round and pearl-like. When it's cooked it gets soft and gelatainous. It doesn't have flavor, just texture. THis is tastes like vanilla pudding with slimy little balls in it. I plan on making a batch using Splenda. I hope Splenda only, but sometimes it needs a little sugar to get sweet enough. Anyone else try making this sugar free? Look forward to your recipes everyday. This crockpot looks great!..I bet this Tapioca will be great too. My husband likes tapioca pudding, but I've never made it. I think I'll try this method. Thankyou for your inspiration. I just started receiving your emails. I am so excited to try your recipes...including this one! Steph - I'm the one that said your food photos make us salivate! I actually had to stop myself from licking the screen while reading your Tapioca Recipe! I cannot wait to make this - yum, yum, yum some more! Of course, the new crockpot I'm going to win will make this SO MUCH EASIER! And I am a busy mom of 4 and I'm really tired of using 2 crockpots to cook for my crowd.... this is the size we've been waiting for!!! Thanks bunches... keep on crockin'! My five year old was diagnosed with Celiac Disease 6 months ago. It has been so hard trying to switch to Gluten free cooking. I mourned the loss of the recipes and cooking methods that I had previously relied on, as much as my child mourned the loss of the foods she enjoyed. I had been REALLY missing the use of my crock pot, when I ran across a link to your web site. I felt like I had won the lottery! WHEEEEEEE! Gluten free crock pot recipes??? WOW! Thank you for bringing this comforting cooking method back to my newly Gluten free family. I have already started a binder with only your recipes in it. By the way, my e-mail address is createwithme@comcast.net for the Crock pot give away. :) Cheers! I say you on Rachael Ray and have been to your blog everyday since. I look forward to seeing what yummy recipes you share eachday! oh man...i really want one of those crockpots! 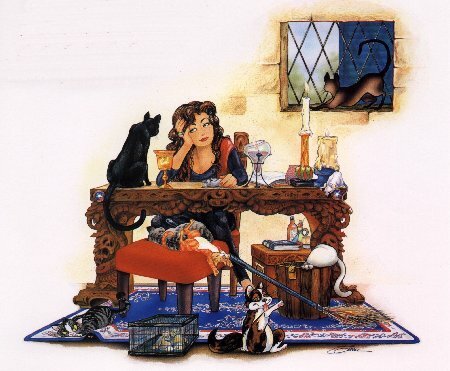 i love your blog..i check it daily! I love tapioca pudding! Thanks for this recipe, I'm going to try this. Mmmmmm. I don't have any tapioca but this makes me want to make rice pudding. This recipe also works with 1 cup of white rice instead of tapioca,and use 1 cup of sugar. Cook on high for 3 hours, when you add the eggs, also add 3/4 cup of raisens and sprinkle the top with cinnamon. My family LOVES this, and it is cheaper than tapioca. You can use brown rice , but it takes longer to cook. I love your blog! Wow! Read about you and your blog in the San Mateo County paper last week. I'm trying the falafels this week. Great blog! This was SO yummy...We like to eat it warm, so it was a sweet treat for the kids and I!! Mmmm. Tapioca! I love your recipes! Oh and you were great last week on TV! boilers66@yahoo.com - thanks for a great site and lots of humor. I can't wait to try the Tapioca recipe. I bet you could also make a rice pudding using the same ingredients, adding some raisins. Woohoo! I too love tapioca! I've only made it a couple of times, but this looks much simpler than waiting for it to soak and such! Can't wait to try it! I thank you, my children thank you, maybe my husband will even thank you! Hee hee!! Oooooh yummy!!!! Thank you for this recipe!!! Well, if you ever wanted another job you could work for the tapioca marketing board to change their image. My mom refered to it as "cats eyes and dog snotters" ewwwwwwwwwwwww! Thanks Mom, I just can't get past that and won't be enjoying this tummy yummy because of it. Pas tres bien! Could I get away with using just plain regular tapioca instead of pearl tapioca, you think? I have some on hand! Hi dawn! What does plain tapioca look like? Is it still little round balls? I don't think instant tapioca would work, but I don't know for sure. if you are up for a challenge, give whatever you have on hand a try, and let me know! We love Tapioca but I NEVER thought about doing it in the crockpot!!! I can't wait to try this. Youngest son will be so excited! this may be a silly question. . .could I make this milk free? Would soy get the desired thickness? I have kids with LOTS of allergies. .wheat, dairy, egg. . .the list goes on. Thanks for your site. It is so helpful! I have been watching your blog since Jan. I cook from your blog at least once a week. My family is loving the new variety in the crock. Totally bummed that I missed you on Rachael. i was out of town and it took me a while to get back on track with the blogging and cooking. wow this is wonderful. I just made the pudding in my mini crockpot and did half the recipe. It cooked in no time at all and tastes incredible. I used less sugar like Adam said and I think it came out perfect. I found the tapioca pearls at Whole Foods. I just used regular tapioca from Safeway and cut the sugar to a heaping cup. Oh my goodness...is it good. Warning! It only took 90 minutes on high in my crockpot to cook. I threw in the eggs, left it going on low for another 20. It came out PERFECT! I can't wait for all of it to cool down...that small "quality assessment" sample I stuck in the fridge wasn't enough. Mmmmm, tapioca nirvana. Sugar free too! I used about a cup and a quarter of Splenda and it turned out great! 08/16/08-This will never have the opportunity to cool in the frige! I was downstairs doing laundry and caught the wonderful aroma as I walked up the back stairs. So, now the eggs have been whisked and added and I must get out of the house or I will begin "tasting" it now..... great simple recipe. Thank ewe! Did anyone ever try this with soy milk? We're not dairy-free, so I could use regular milk if I had to, but I'd rather use soy if it'd work. I made this tonight with only 3/4 cup of sugar/4 large eggs and it was PERFECT! So yummy and I ate it HOT right out of the crock (put into a mug though). Hope the kids get to have some. Thanks Steph! I'm looking for a rice pudding recipe done in the crockpot. Anyone familar with this? check out "Tami"'s comment from July 14th...she has the variation for rice pudding. I am after the same thing too and I've been doing some research and found that arborio rice is the perfect rice for this pudding. Thank you Crock pot lady for sharing the tapioka recipe. I'm a huge fan of tapioka and so are my children. I always make it on the stove and have to make sure it doesn't burn in which it usually does b/c I can't be there constantly stirring it. This is on my "to try" list for this weekend! I had a glut of milk to use up so I finally got around to making this tapioca today. I cut back the sugar to a heaping cup and only used 3 eggs. It was great! I will definitely make this again! CL---Tapioca is not a grain (as you mentioned in one comment response). It is a starch extracted from cassava root. I made the crockpot tapioca pudding using Minute Tapioca. I did half a recipe and followed the amounts on the package. It came out delicious, more like vanilla pudding because you couldn't feel the lumps of tapioca. I may have cooked it too long. Next time I would try cooking it for only 2 hours instead of four and taste test it to see if it needs more time. I make this all the time! Love it! Oh no! I am making a batch of this for my sick 3 year old (who usually wolfs it down) and the weirdest thing just happened... I was getting ready to add the eggs since the rest of it has been going for a few hours and is ready for eggs... but my crockpot was covered in a tapioca volcano eruption and there is gooey tapioca gunk EVERYWHERE! Poured out the sides of the crock (ewww), down the counter (we're talking whole cups worth, not just a little), down the cabinets... I have made this many times before and wow, this is freaky. I used half soy milk this time, plus Bob's brand pearl tapioca since my Whole Foods stopped carrying the other brand. These are the only things different this time - how weird. And disturbing! It should still taste great, I guess, if I can ignore the icky sticky mess in its wake. I made this yesterday. It was delicious! However, cooking for 4 hours was too long, next time i will check it at 3 hrs. thanks for the recipe. Does it have to be the small pearl? I can't wait to try this. I never have time to soak it overnight and then cook it the next day. Seems like my plans always change and I have to throw it out and start over. I make this WONDERFUL recipe with Almond Milk and it is divine. So much simpler than the stove top method and so much yummier than the microwave version. Thanks so much. My Mom used to slice up fresh peaches, throw a little sugar over the top of them and then fresh tapioca and refrigerate. Yummy! No one seems too worried about this, but I actually happen to know the answer. Tapioca (in any size from instant to large pearl) is made from the starch of the cassava root. The original Yam. The sweet potatoes grown in the US are NOT yams. Yams are from Africa. Pretty interesting fact: Cassava root is known for it's fertility enhancing powers. In Africa they refer to it as the "Man" root...Partially for it's shape being slightly...Phallic....*erm*, And the other part because of the belief it will promote twins (or other multiple births). To Make the Pearls, they squeeze the starchy juice out of the flesh of the cassava root and expertly drip them on a hot stone to make the water boil away and leave this pearl of starch behind. All that aside, I am super excited to make this recipe. Going to the asian Market today to buy tapioca pearls. Wish me luck!! I've been using recipe with similar ingredients for a few years now but my instructions say to just put everything in crock pot at once and stir every 30 min. I just stir "occasionally" and it comes out delicious every time. This is one of my favorites and one of the first things my grandmother taught me how to make as a child. She started me off with a basic egg custard. When I mastered that, it was on to rice pudding and then tapioca pudding. I love it with some drained and diced pineapple pieces in it. I never though of making it in a crockpot. I’ll have to try that, as soon as I can find pearl tapioca. I haven’t seen it in any stores since I left NY in ’01. Unless I’ve missed something, it doesn’t appear that directions were given for the addition of the vanilla. Vanilla should be added at the very end of the process, after the pudding mixture has cooled slightly. If added before that, the goodness of the vanilla would be lost quickly to evaporation. I have to laugh at those who despise tapioca and everything made with tapioca. In a commercial kitchen, we used it to thicken many things; especially soups, stews and gravies. It’s also used to thicken fruit pie fillings; especially those that are premade and frozen. Tapioca flour is one of the mainstays of gluten-free baking. 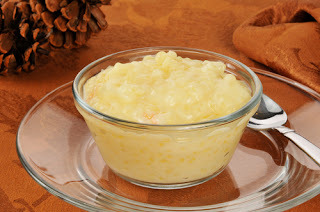 My Mother used to make Tapioca Pudding and we loved it sooo much! One time she made a "huge" batch trying to keep up with our insatiable appetites for this creamy deliciousness. She had made it in the largest of the Pyrex mixing bowls (the Red one). It had been warm, the fridge cold, so the outside of the glad bowl was wet... and slippery...kersplat!! The whole thing hit the floor & shattered sending sticky goo & glass shards everywhere! As she was rather hard on us for making any mess, we NEVER let her forget that one... confidentially...I nearly cried for the loss of my pudding! Thank you for sharing this recipe. I've tried a couple of others I found online, and I like yours the best, tho' I had to add 1/4 c. more tapioca to make it come out thick enough. Thanks to your father-in-law, also, for the lesson on what tempering eggs means. Knowing my native Chinese sister-in-law uses her crockpot as a rice cooker, I wondered if it might also be used to prepare tapioca. I googled the idea and was so happy—so happy—to find you and others saying it's so. I love tapioca and have often made it in copious amounts, always scorching the bottom of the pan, always tiring of the constant stirring required. Earlier this year, on our annual trip to the Amish bulk food store in Shipshewana we'd purchased a 5 or 10 pound bag of large pearl tapioca; I love it enough I was willing to burn and stir for the pleasure of eating it. It's been a godsend to me to be making it in the crockpot. My heartfelt thanks to you. For the record, I'm down for purchasing a 25-pound bag of large pearl tapioca next year. A little learning is a dangerous thing! A fact for the day: tapioca isn't a grain. It's a huge potato-like thing. They extract the starch from it and shape it into those little balls. I found this out while visiting India. We went to someone's house and they served us delicious potatoes cooked with curry leaves and onions, but when we commented on them they said "those aren't potatoes, they're tapioca". We were like, "what? Really?" So they took us out the back and showed us their tapioca plant and one of the big grey tuber things they had peeled and cooked for us. So later I looked it up and discovered tapioca pearls are only one thing they make from the tubers - they also make flour. I think cassava is the same plant.